Hello and thanks for stopping by my page. My first 2 coops was from free pallets and a free 10'x5' dog kennel...all free.....I spent less than $20 putting it together. This coop is pallets put together to form a box. 8' long, 4' wide and 3' high. 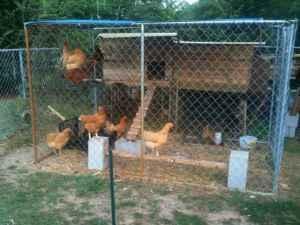 We decided to get more chickens and build another coop. All the materials was stuff we was able to get for free. 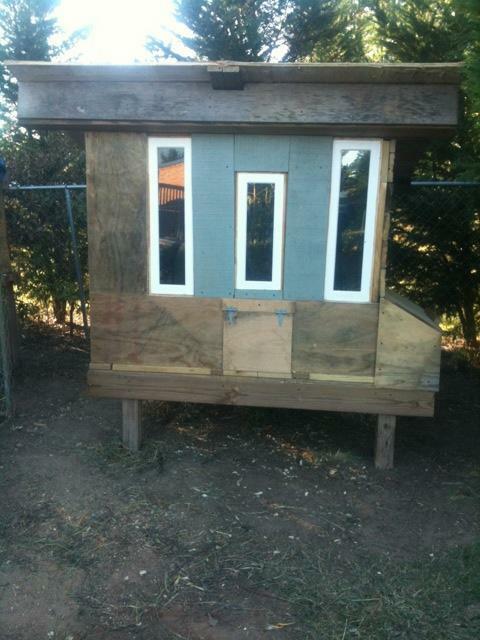 My budget to build the coop was $20. Yes, only $20. Thus far, we only spent $12... So far so good!! Just need to stain/ paint the exterior. 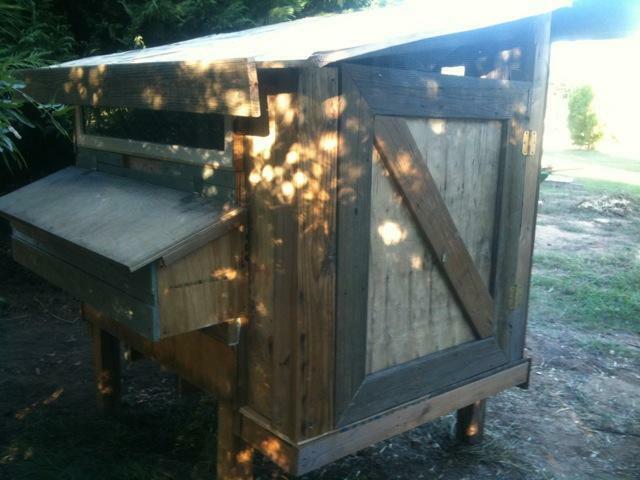 The coop size is 6' long, 4 wide and 5' tall w/ 6 nesting boxes. We will be adding a 10x10 dog kennel for the run area. I'll post new pictures once its painted w/ the kennel attached. Thanks again for stopping by.